No wonder James Comey decided to emerge from his rat hole to offer a new FBI encouragement. Yes indeed, James Comey. And Americans have broken out of our bubbles and we know the truth. Check Comey’s definition of “spy”. 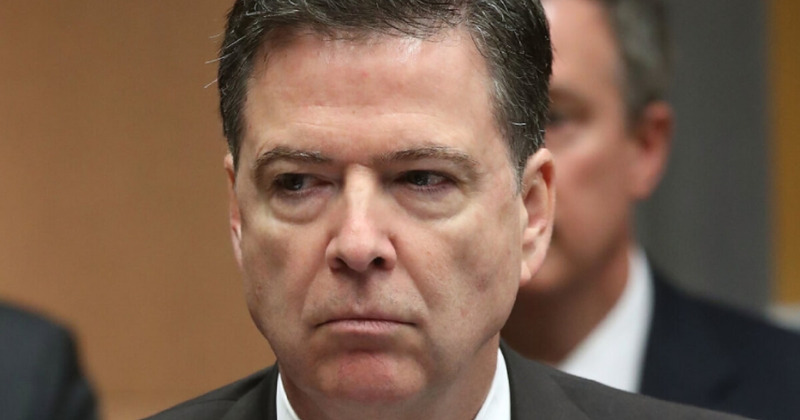 No matter how Comey tries to spin things, he’s tiny nuts are caught in a vice. On Friday May 11, 2018, Senate Judiciary Chairman Chuck Grassley (R-IA) sent a letter to FBI Director Christopher Wray and Deputy AG Rod Rosenstein. In that letter Grassley reiterated that Comey testified the FBI didn’t think General Flynn lied. Further, Grassley also revealed Joe Pientka was the second FBI agent who joined Peter Strzok on January 24th, 2017 ambush interview to take down General Flynn. Next, Grassley demanded the FBI and DOJ produce the transcript of Flynn’s intercepted calls with Russian Ambassador Kislyak and the related reports filed by the FBI agents to summarize interviews. These reports are called 302s. We learned through the recently unredacted FBI-CYA portion of the House Intel report that Comey testified to House Intel members that the FBI agents who ambushed Flynn did not detect any deception. Also, the reports disclosed that the illegal leak of Flynn’s phone call with Kislyak is what the FBI/DOJ used to keep a counter-intel operation open on General Flynn. According to The Daily Caller, a few FBI rank and file agents want to testify. Consider that these FBI agents have remained silent up to now, so what has prompted the new stance? I suspect a few things. It doesn’t hurt that the release of the Department of Justice (DOJ) inspector general report on how the FBI handled the Clinton email investigation was damning. Moreover, the Era of Trump has empowered many agents. Put another way, the Obama Era of Corruption has ended, and the agents see the change. There is no better time than now to scuttle the ship. I have warned on a number of occasions that many in the Obama administration will go down and hard. And it will lead to Obama. The desperation is palpable in DC, and things will worsen for the Democrats.